I used to bike 20-30 miles a day when I was younger, right up until I got my driver’s license. Then I threw myself into work right out of school, got married, had kids…and all the sudden 13 years went by and my bike never came down from the rafters. My cousin (who was pregnant at the time) was into cycling with her mother-in-law – and she had been talking about it a bit on Facebook. The MN Ironman Bike Ride was looming – then she looks at me and says, “I’m pregnant and doing this ride – what’s your excuse?”. That was pretty much it. I was all in, and I got hooked. I did 72 miles of the 2010 MN Ironman Bike Ride (65 mile course – don’t ask) on a mountain bike with maybe 200 miles of training under my belt. Oh my dear lord I slept for two days after that. I bought a blue 1974 Raleigh (I call it “Old Blue”) off of Craigslist and rode in 8-10 more events in 2010, ending up with just over 1,200 miles for the year. This year I want to break 2,000 miles. I can’t wait – cycling feels SO good. My whole family is now involved in cycling / biking as well. My 6-year old can poke along right with us on her own bike – she even did 9 miles on her own with us down at the Cannon Valley trail one weekend. MN is one of the best places in the US for cycling and mountain biking. Kudos to our lawmakers, cities, and conservation agencies for continually expanding this in MN – I never knew how awesome we have it. With my cousin, we formed the KBV Bicycling Team (Kelly’s Blackmail Victims). Well, maybe not so much with her – but it’s all about her motivating us to get back on our bikes. You can catch the bulk of us at bike tours throughout the year – say HI if you see us! 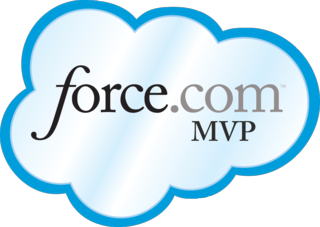 Hi Andrew , I am new to SFDC and like your blog a lot , for the useful and detailed explanations. Icing on the cake was cycling, I also love it as its an amazing activity :-).